The term ‘Bulk Material Handling’ (BMH) refers to the engineering involved in designing mechanical equipment to handle and process bulk materials. It is an essential part of almost every industry; many manufacturers utilize the materials in bulk form as it simplifies a labor-intensive process which saves money and time for everyone. Quite literally thousands of materials are bought or sold in bulk. These vary from corn to coal, food ingredients, rubber, cement and raw materials, chemical powders, and pharmaceutical powders to plastic pellets or flakes, and more. In a typical BMH system, raw materials in bulk solids or powders are received from trucks, ships or trains. Often using a conveying system, they are unloaded to a yard or storage facility where needed in the process. Understanding the desired application, the material characteristics, and the site conditions are some of the critical factors in choosing the type and size of the BMH equipment. The design of the BMH equipment depends on varying characteristics of the materials such as lump size, bulk density, particle size distribution, moisture, temperature, material form, the angle of repose, abrasiveness, stickiness, etc. These characteristics directly affect how you can successfully fill, discharge, convey or mix in your application. In a plant, it is essential to study thoroughly all the characteristics of the material to ensure efficient and smooth operations of the plant. The mechanical or pneumatic BMH equipment move the dry or semi-dry materials, which exist in a loose and bulk form, from one location to another destination. In addition to main function of transportation, BMH systems also provide the secondary functions such as storage or blend materials. One of the most prevalent equipment types in BMH is a belt conveyor – the backbone of BMH systems in many different processing plants. Although many other types of conveyors are used such as screw, chain and pneumatic along with stacker/reclaimer machines, ship loader/unloader, bucket elevators hoppers, chutes, feeding and separating equipment, etc. All of these machines carry large capacity materials from one place to another which leaves a lot of room for breakdowns, inefficiency and potentially dangerous situations, especially in more abrasive environments. It is important to keep these machines running efficiently to maximize productivity in order to keep them away from creating bottlenecks that could affect upstream or downstream processes. Proper storage and safekeeping of equipment and bulk materials is also essential for overall safety. The processors that implement the proper storage practices avoid risk from stacking hazards, tripping and other risks. Training employees on how to properly communicate risks and providing them with the tools to inform the necessary parties quickly and efficiently will boost overall safety and minimize the number of accidents that occur due to improper machine shut down. Considering the environmental pollution challenges and stringent environmental policies across the globe, there is a trend in use of more pneumatic conveying systems than the mechanical conveying. Similarly the storage shed concept has picking up to cover the open storage of raw materials to protect from weather and as well as to reduce windswept and pollution. With an advent of ever changing business & environment conditions along with people’s lifestyle changes, an innovation in BMH products and technologies are erupting across the industries. It helps in boosting the speed & efficiency to existing applications and extending the value of the systems to meet complex materials and logistical conditions. For example, the new generation conveying technologies for open pit mine and in-pit crushing conveying, a Sandwich Belt Conveyor developed by M/s. Dos Santos Intl. USA which is a breakthrough concept of conveying any mineral from pit bottom to the surface by totally eliminating use of conventional trucks. A sandwich belt conveyor uses two conveyor belts, face-to-face, to gently but firmly contain the product being carried, hence making steep incline and even vertical-lift runs easily achievable. It reduces the environmental degradation and brings down the operational cost drastically with improvement in productivity and product quality. Also, an automated storage and retrieval systems perform more functions and work faster at lower cost while new conveyor technologies provide better control of hard-to-manage materials. Use of Internet of Thing (IoT) and Artificial Intelligence (AI) along with Big Data have really changed many traditional approaches of BMH products and technologies. Mining and agricultural operations continually strive to increase throughput to achieve maximum profits at BMH sites. BMH sites generally face the pressure to increase efficiency, grow revenue, and minimize downtime. One way of increasing throughput is to have real-time visibility into equipment, inventories, and associated quality levels across the supply chain. In fact, today’s complex business environment demands real-time information from a single data source with proven reliability which could be possible by using next-generation software solutions like Eka’s BMH software. 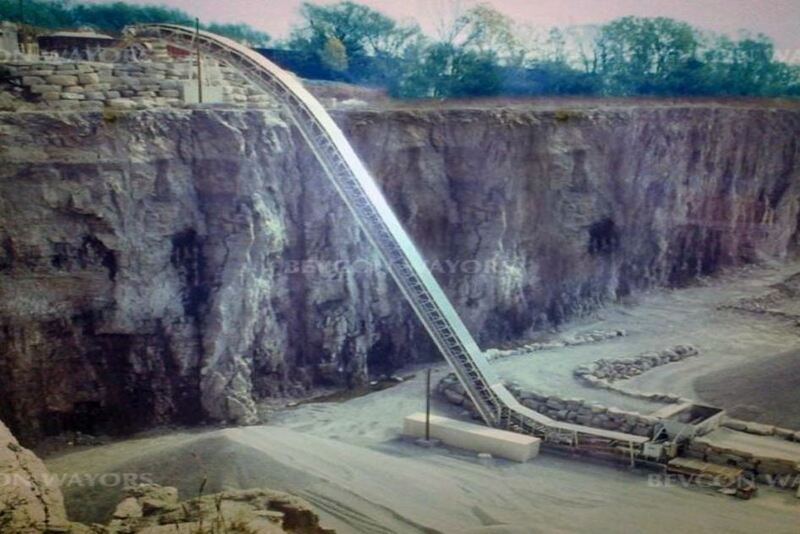 Fighting erosion in BMH systems has always been a challenge for operators of quarries and minerals processing plants, but a Derbyshire-based company, the Greenbank Group has recently developed an innovative solution called ‘CeraMat’, a rubber backed ceramic tile mats which can be used in chutes, hoppers, and other critical areas to combat sliding wear and to absorb low to medium impacts. Easily installed by means of bonding onto the pre-prepared and cleaned substrate, CeraMat - with 92% alumina tiles moulded into a vulcanized rubber backing - gives users a degree of flexibility to cover flat, concave or convex surfaces. 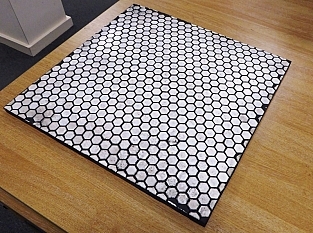 Allied to their rubber backing, they can also help reduce plant noise. 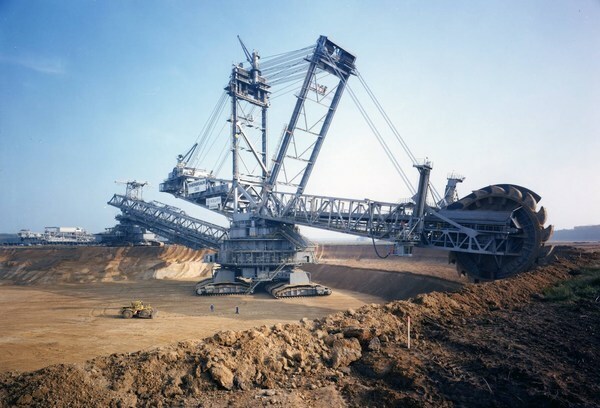 The mining industry being the largest market for BMH products & technologies compared to other industries will continue to lead in years to come, states a report by Transparency Market Research (TMR). The major players such as ThyssenKrupp AG, TENOVA S.p.A, Metso Corp, FLSmidth, TRF, SENET, and Voith GmbH define the global BMH product and technologies market, are likely to focus more on product innovation, development, and implementation of advanced technologies which will boost the overall innovation environment and benefit the end users. North America, Asia Pacific, Europe, and the Rest of the World that includes the Middle East, Africa, and South America are the main geographical segments of the worldwide BMH products and technologies market, according to TMR report. The rise in urbanization in emerging Asian economies, such as India, China, and Japan have propelled the spending in infrastructure projects and boosted the need of BMH products and technologies. Interestingly, the global market for pneumatic conveying systems will achieve USD 30.4 billion by 2025 as advancements in technology fuel sales in the food processing and pharmaceutical industries, reports Felton, CA-based Hexa Research. The global market for BMH products and technologies, which offered an opportunity in USD 58.86 billion in 2015, is likely to increase at a CAGR of 1.30% during the period from 2016 and 2024 and touch USD 65.74 billion by the end of the forecast period, states TMR report. India being one of the largest natural mineral resources in the world, the demand for BMH equipment is at substantial level and has been a prime industry for the past several decades. Bulk material handling and the related equipment significantly contribute to the well-being of the core industry, which is a major contributor to India's GDP. Advent of various infrastructure development of the Indian government, privatization from government controlled operations for bulk handling in ports, mines and other sectors along with uplifting of people's living standard resulted a quantum jump of BMH sector in view the GDP growth and market size of India. Considering the momentum in the infrastructure sectors in particular power, ports, mining and cement, a steady growth rate of 20-30% can be witnessed in the Bulk Material Handling Sector for this decade, according to the Research Inventy, International Journal of Engineering and Science. New generation bulk material handling equipment will be computer aided such as Automated Guided Vehicles (AGV) which could become the future of bulk material handling. The BMH equipment manufacturers will have to rise to the challenge by helping their customers to address the short term flexible solutions. In long run, they will need to continue investing in development of modular design that will meet customization requirements, deliver productivity and ensure safety at work while delivering energy efficiency and meeting sustainability goals. Making the right choice of machinery to suit your applications is crucial in determining the success of your projects. A thorough study of your existing systems or an evaluation of your expansion requirements will aid in implementing suitable BMH systems and deriving maximum benefits from these investments.